Does this mean you’ll be dressed as Mary Poppins? 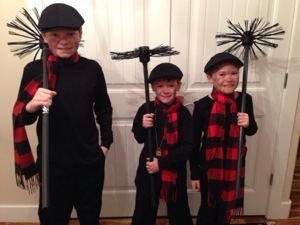 We’re a family of 5 chimney sweeps. The economy has been rough. This is my favorite. Of all the pics I’ve seen of kids and adults in their Halloween costumes…this one wins. In my opinion anyhow. LOVE it!